Got Craft Blog: thanks Sublime Stitching! 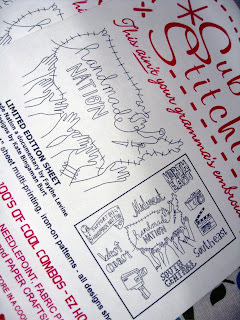 Look at what arrived today for the Handmade Nation swag bags!! 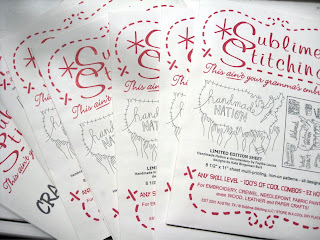 Thanks to Sublime Stitching for their amazing support to Handmade Nation and Got Craft. There are about 5 more bags left, so if you don't have your ticket yet, you can purchase them online. the first bite is the sweetest! Got Craft? goes bite sized!